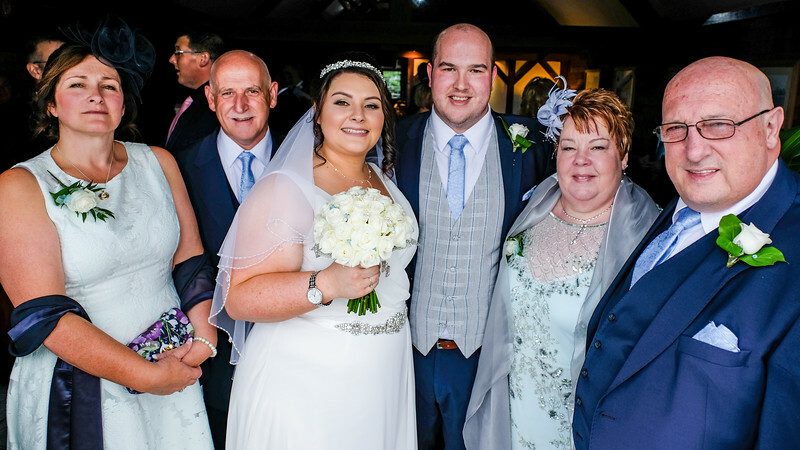 Rebecca and Simon tied the knot at the The Stables Country Club in Bury Greater Manchester. 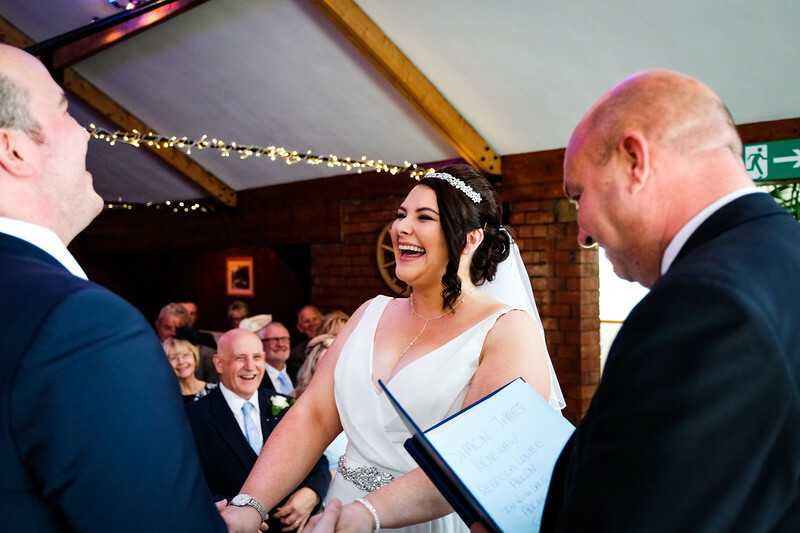 The stables is a beautiful venue for weddings with all the facilities you need to have a fabulous day all in one place. On the day itself it was very windy but the rain held off so it was a mix of inside and some outside photos. 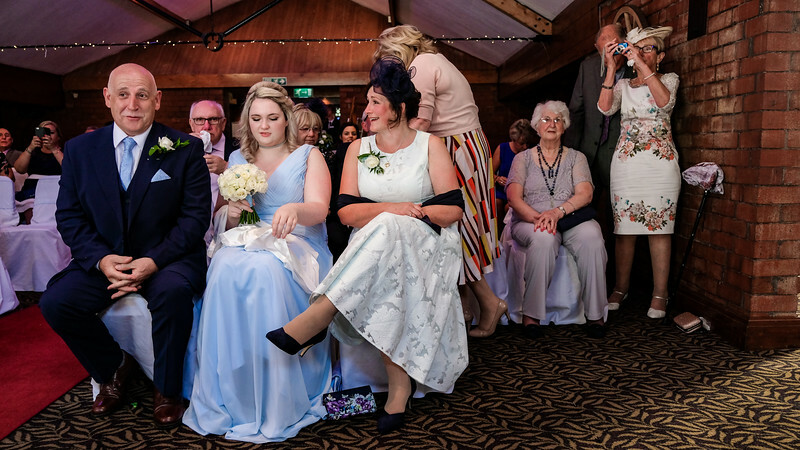 The thing that struck me about both Rebecca and Simon is how relaxed they were before the ceremoney, normally the Bride and groom are both very nervous but these two just seemed to be really relaxed and loving their special day. 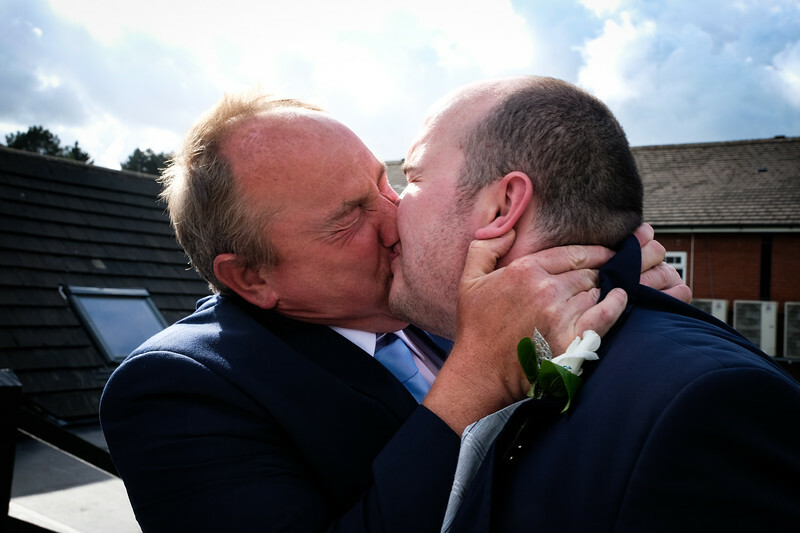 Here are a just a few of the photos from their special day. I like to shoot mainly documentary style photos with a few posed photos if needed. 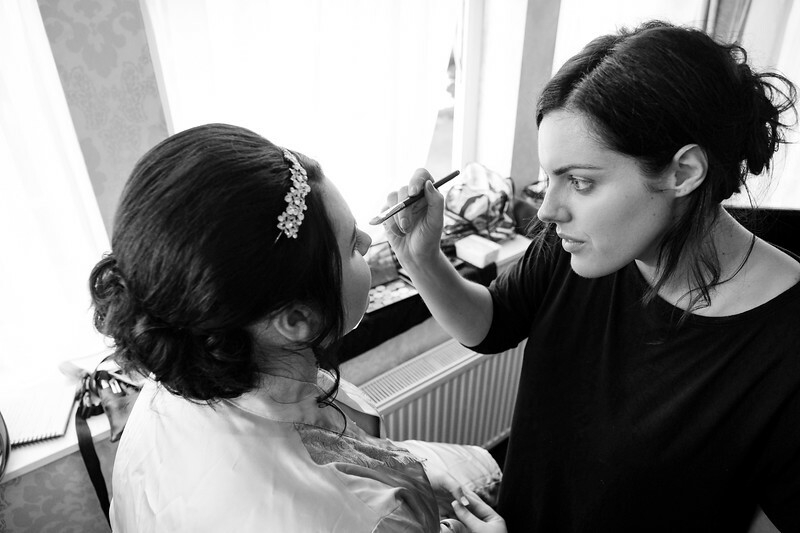 Bride with the make up lady getting ready for the wedding ceremony at The Stables Country Club , Bury wedding photography by Sam Ralph Photography. 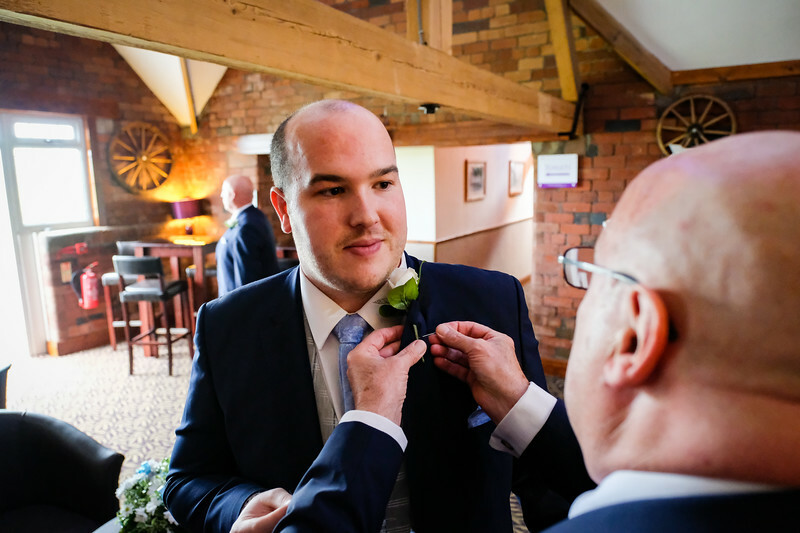 Last touches before the wedding , Groom getting his lapel flower. Groom having a beer before the wedding with the groomsmen. 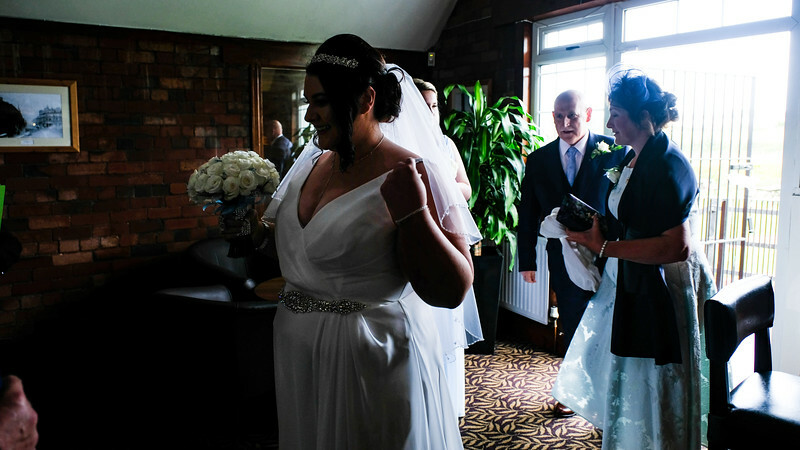 The Bride arriving at the venue with Mum and Dad. 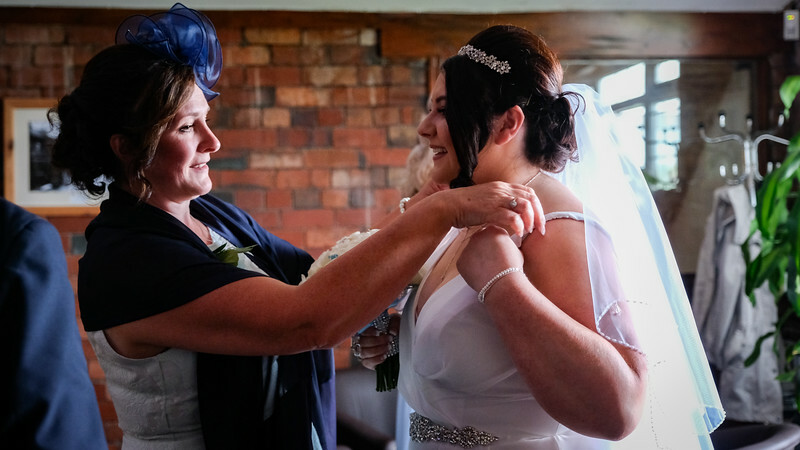 Mum helping the gorgeous looking bride just before the wedding in the Stables Country Club , Bury wedding photography by Sam Ralph. 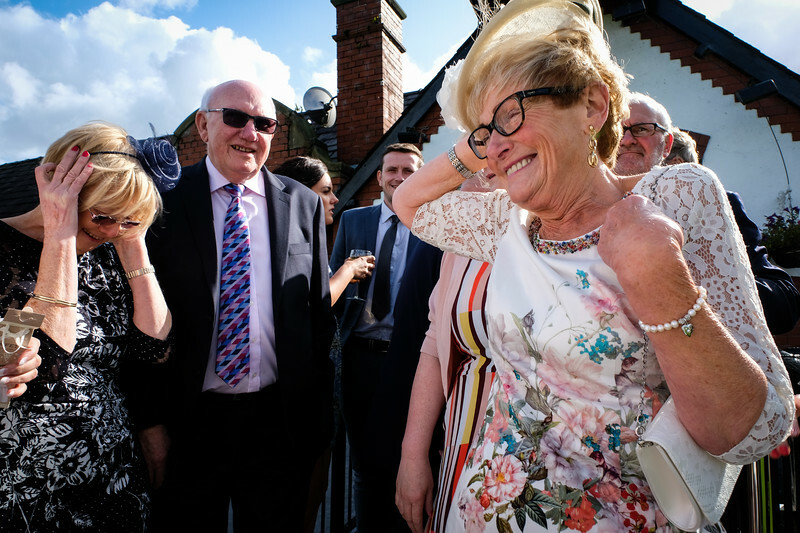 The Bride with her parents at the "Stables Country Club Bury" arriving for her wedding. The Groom waiting for his Bride to walk down the aisle. 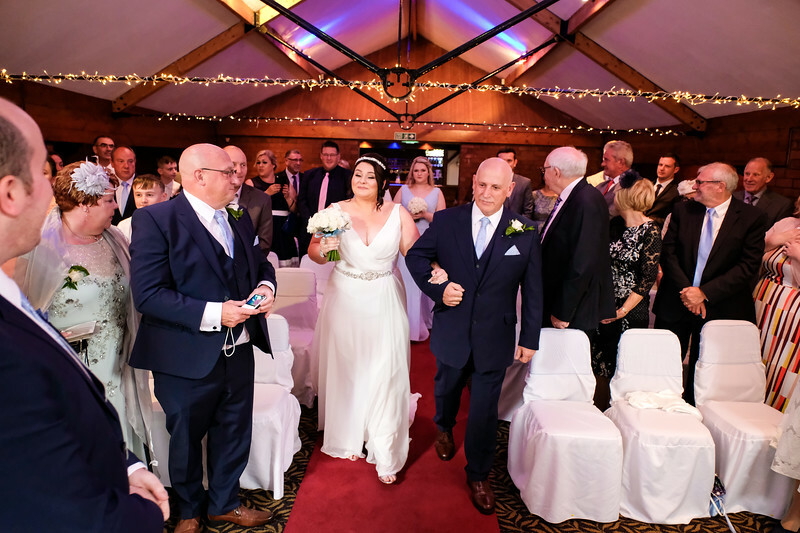 The Bride walking down the aisle with her Dad at The Stables country Club in Bury, Manchester. 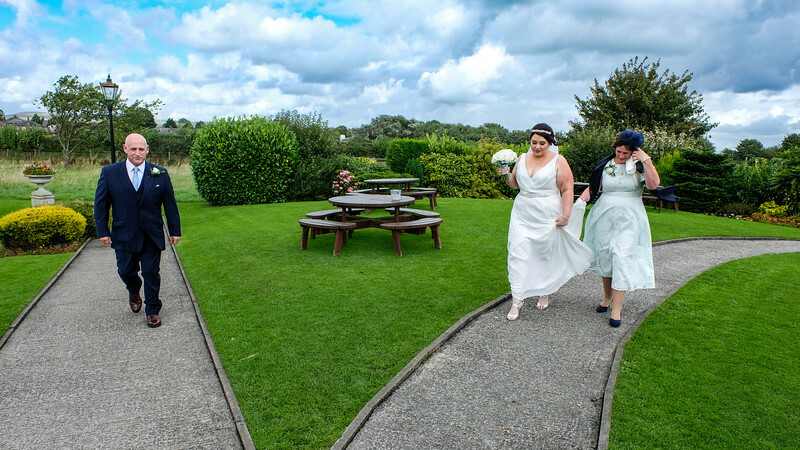 Photography by Wedding photographer Sam Ralph Photography. 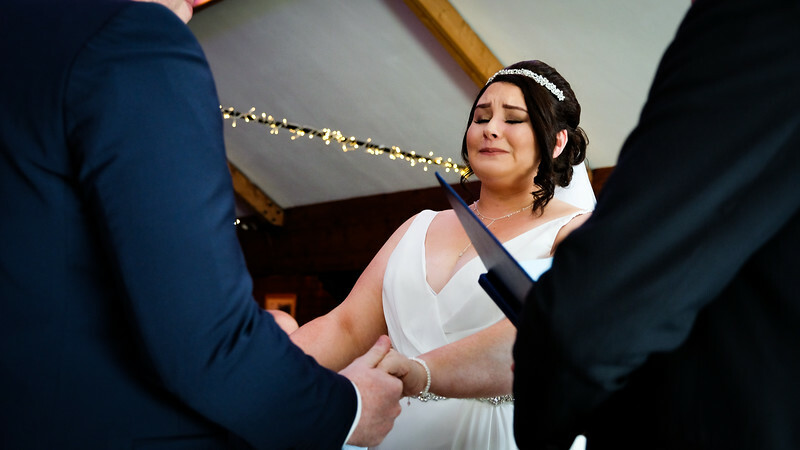 The Bride having an emotional moment taking her vows at The Stables Country club. Bury wedding photography by Sam Ralph. The Bride smiling with the Groom. 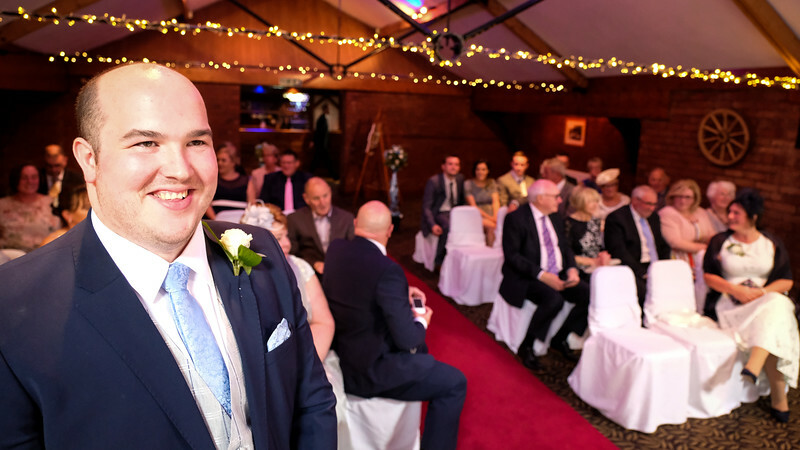 All smiles as the Bride and Groom take their vows at The Stables Country Club in Bury , Manchester. 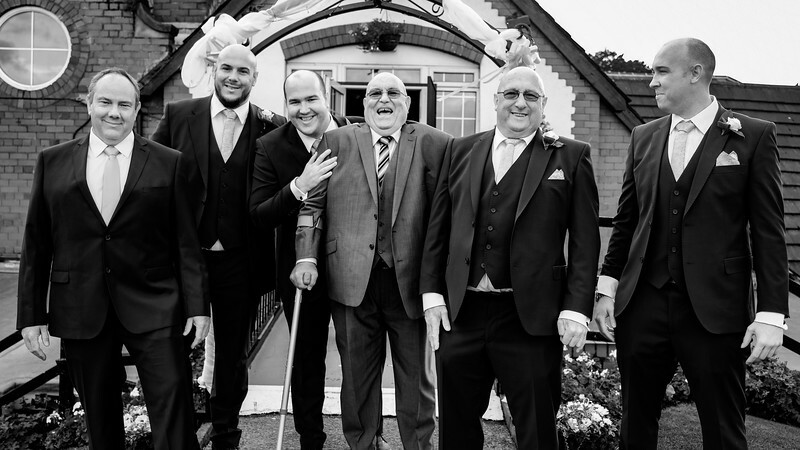 Photography by Bury wedding photographer Sam Ralph Photography. The Wedding party taking photos at the wedding and a Groomsman sticking his tongue out at the kids on the floor. Bury wedding photography by Sam Ralph Photography. The Bridesmaid sitting with the Brides parents. 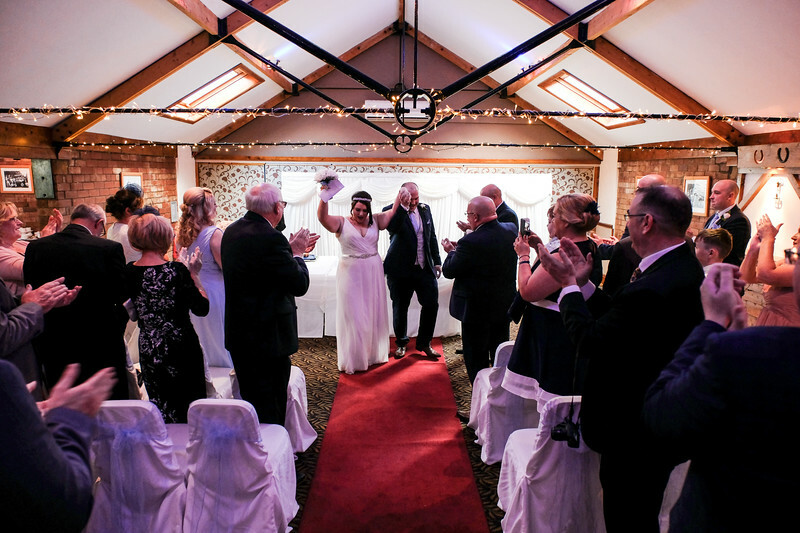 The Bride and Groom lifting their hands in celebration as they walk down the aisle. 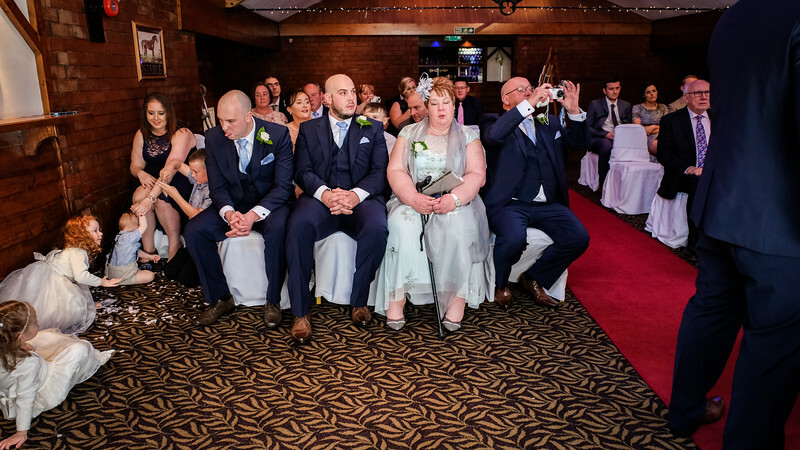 Bride and Groom with Mum's and Dads at The Stables Country Club in Bury , Manchester. Photography by Bury wedding Photographer Sam Ralph Photography. 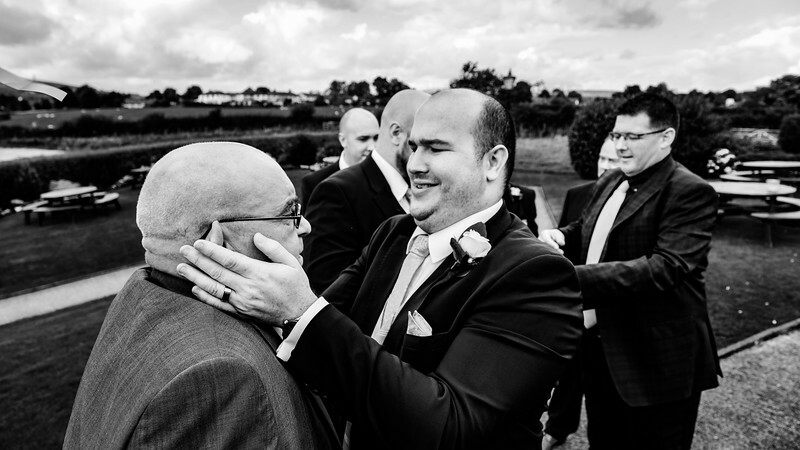 The Groom getting a full on wedding kiss from one of the Groomsmen. Guests holding onto their hats in the wind. 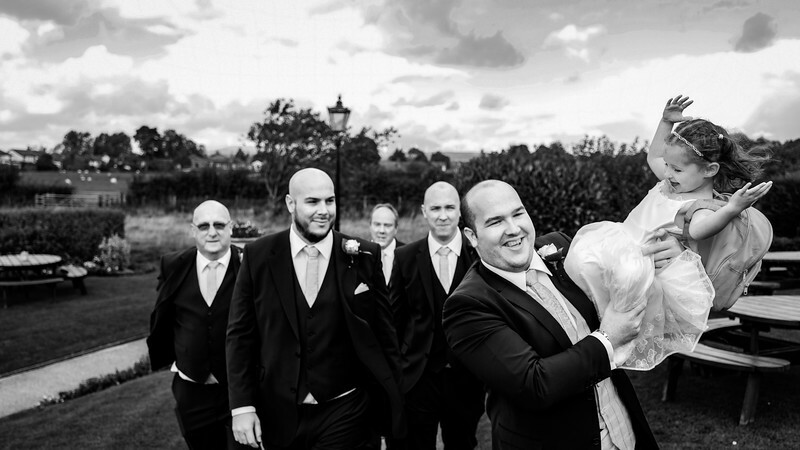 The Groom lifting up a young bridesmaid surrounded by the Groomsmen. 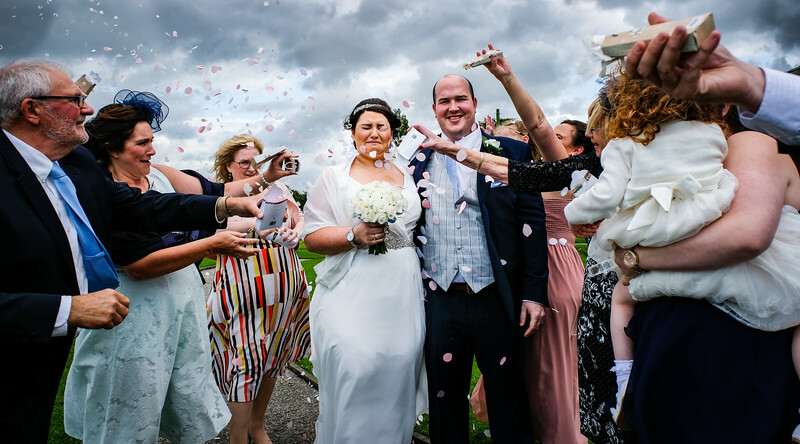 Bride and Groom getting covered in confetti with the wind blowing in their faces as the guests throw confetti at them. Bury wedding photography by Sam Ralph Photography. 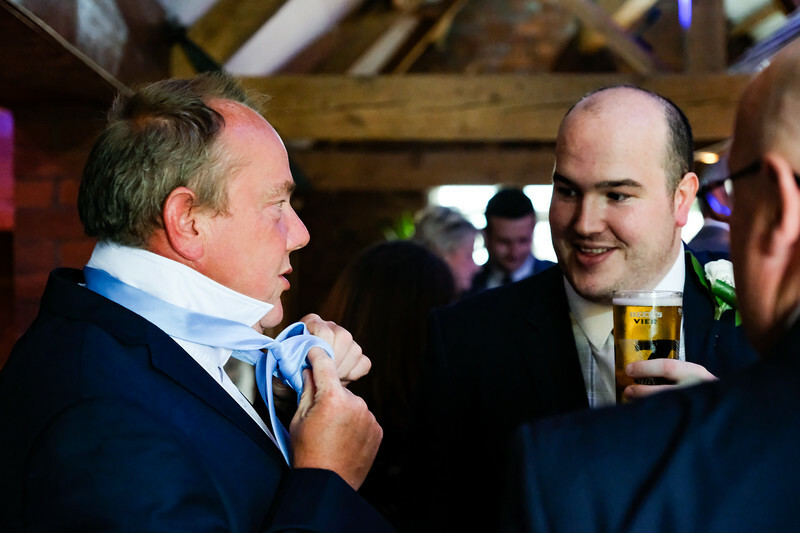 Groom holding a guests head. Groom and Groomsmen having a traditional photo. 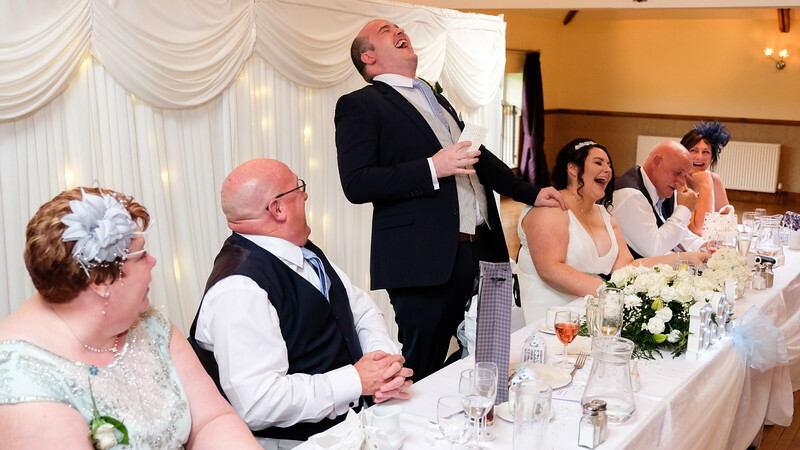 Wedding speech laughs as the Groom makes his speech and gets a huge laugh from family and friends at the top table. Bury wedding photography by Sam Ralph Photography. 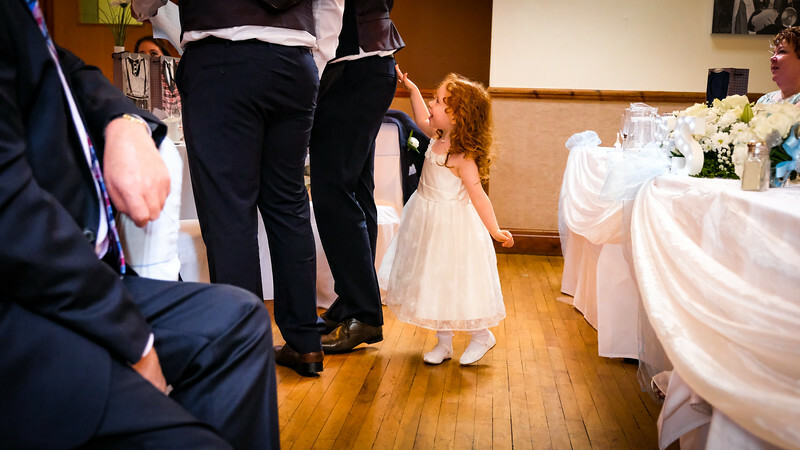 A young bridesmaid with red hair. 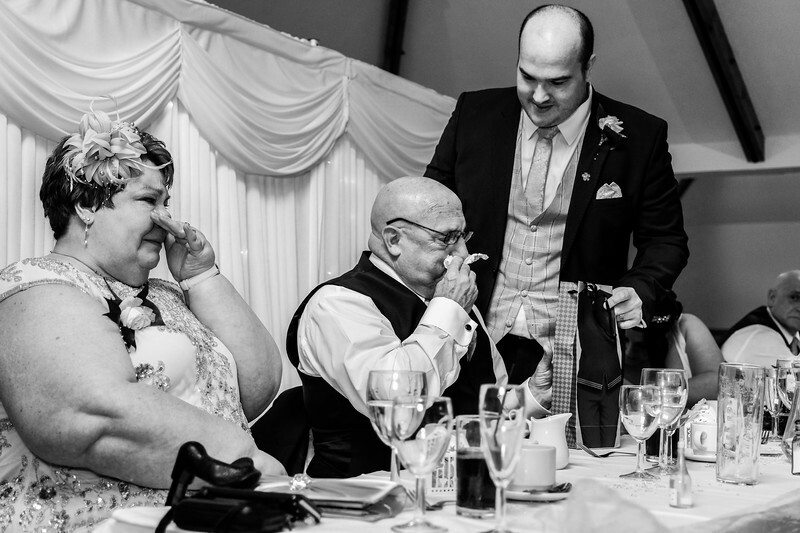 The Groom consoles his parents as the breakfast speech gets emotional. 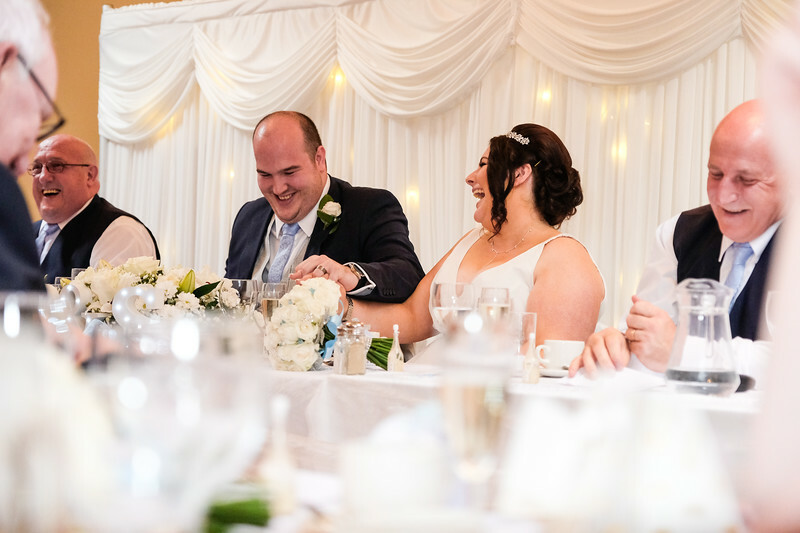 All smiles at the breakfast table as the speeches take place the bride and groom having a giggle together. Bury wedding photography by Sam Ralph Wedding Photography.